We have heard about it and some of us have even read a story somewhere about the condition. But what do you do when you come to know that your child has autism? It can be an earth-shattering experience for parents, especially the mother, to know that her precious little child has autism. But what do you do after that? April 2 is World Autism Awareness Day, which is why we thought you must read about this mother who chose to do everything she could to help her son win his battle against autism. 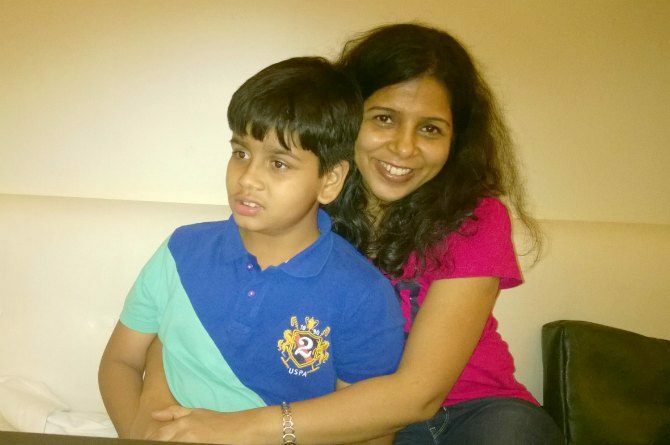 This is the story of Preeti Singh, mother of 10-year-old Vivek, and this is how she chose to live her life after she found that her only son had autism. We were thrilled when Vivek was born on 15th Oct, 2006 after an eight-year-long wait to experience the joys of motherhood. Vivek was a very healthy and active child. Though his milestones were slightly delayed, I did not give it much thought at that time. At around 1 and a half years, we shifted from Surat to Baroda. Suddenly Vivek became very cranky and became a very fussy eater. Somewhere around this time he also lost his 10-12 word vocabulary, stopped responding to name calls and stopped making eye contact with us altogether. When I realized that he was very different from children of his age, we decided to consult a developmental paediatrician. Even though as parents we were suspecting this, we were devastated to learn this. But when we were crying that day we observed that our son, who used to be always happy and unaffected by things around him, was very, very sad. We were shocked to see him like that and this is why on that very same day we decided that we will try and do whatever possible for him and not cry over it. We were extremely fortunate that our families rallied around us and gave us lots of emotional support. 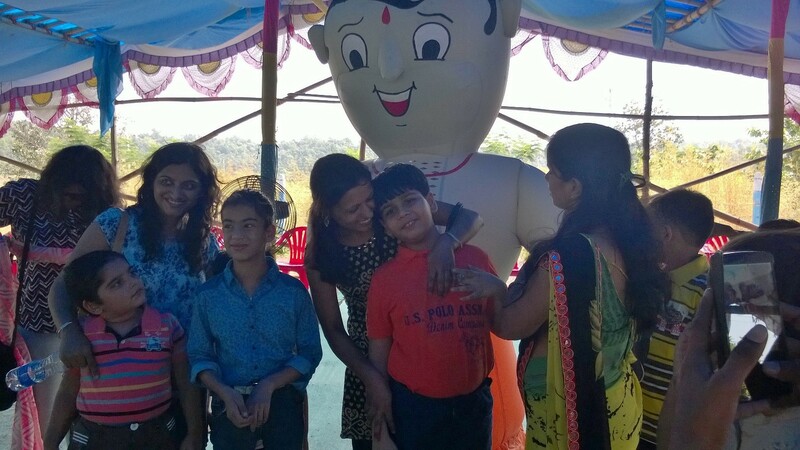 Slowly, we started getting information on autism and I started early intervention program for Vivek. We also started a homeopathic treatment for Vivek. A year later, he started responding when we would call his name and even made eye contact with us. I enrolled him in a mainstream school in playgroup, but he had no speech and was very hyperactive. 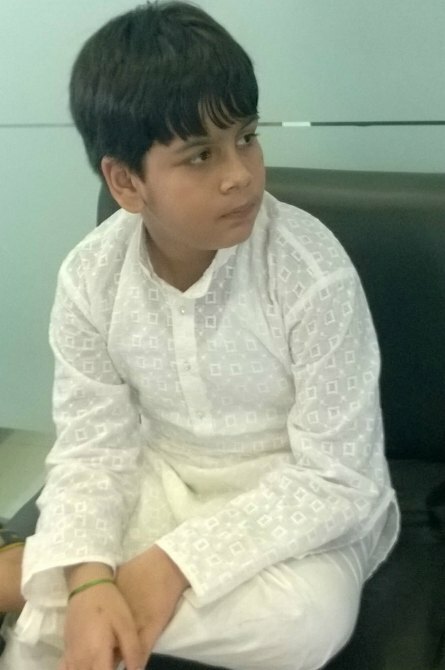 Since there was limited help in Baroda, my husband took a transfer to Mumbai when Vivek was around five years old. In Mumbai, I realized that occupational therapy could be useful and also came to know that Vivek had low muscle tone. Along with the therapist I started working with Vivek at home. 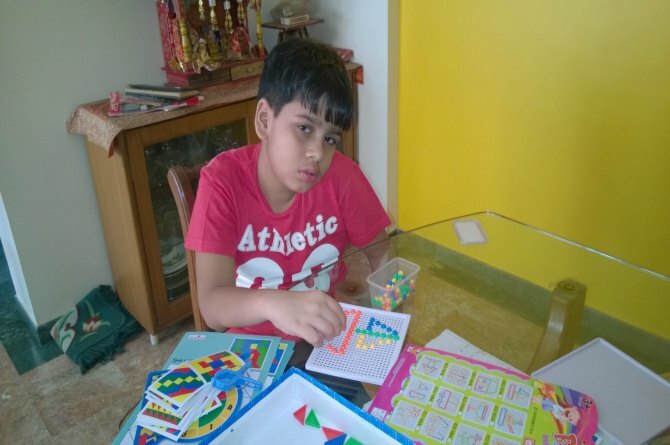 I also started speech therapy and special education for Vivek. Today Vivek has need-based language which is continuously improving. He goes to a special school. I have trained him to be independent in his daily activities. He is learning to play the keyboard and can play a few Bollywood songs as well. He likes sports and is very fond of riding his bicycle, running and swimming. His education is being taken care by his special educator and me. Children try perfection in whatever they do. We have to build on this strength. I am trying to help Vivek, without putting too much pressure on him. My having a positive attitude and a happy environment at home helps the child and the family. Let every child with or without autism blossom at his or her space. My advice to other parents would be accept that our child is different and start helping them. One has to stop being in denial and accept the situation and work towards it, then we are able to overcome the odds and give the child the life he deserves. The REAL reason dad Shahid Kapoor has taken Misha on her first international trip!